Elevated Design Build can help take your project from conceptual napkin sketches to dinner on the new patio. We offer a range of services and customize every project based on the needs of each individual client. If you already have an architect and/or general contractor, we can integrate as a part of your team to ensure an efficient process and successful project. Our Design Department is able to help develop your ideas starting with the basic concept and carrying it through to the drawings and documents needed to complete a successful project. Active listening is important to our work, and when combined with our formal training in architecture it allows us to help design a home that compliments your land, budget and lifestyle. We also pride ourselves on our ability to collaborate with architects and other design/construction professionals to develop timber frame designs that are aesthetically pleasing and cost-effective to build. The original design intent always remains intact as we consult on the best way to accomplish our shared goal. 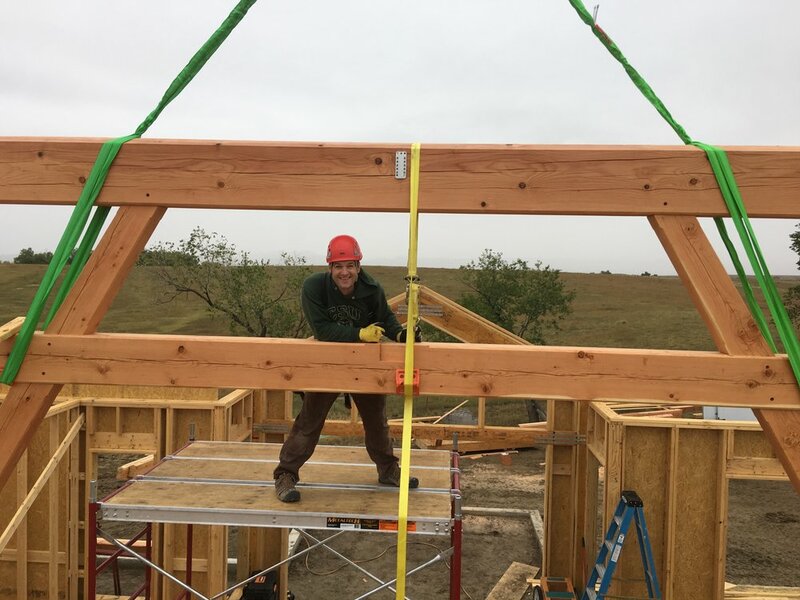 Timber framing is our specialty here at Elevated Design Build. In its essence, timber framing is a unique method of constructing buildings using large timbers joined together with mortise and tenon joinery. We love the craft, the authenticity, and the unique quality of space created when we build this way. 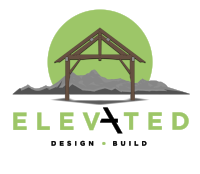 At Elevated Design Build we believe that our buildings should work for the people who inhabit them. We’ve broken this down to mean three things: they should provide comfortable shelter from the elements, create a healthy indoor environment, and be energy-efficient to reduce operating costs. We accomplish these goals in part by employing modern building science, green construction practices and natural/non-toxic materials for the wall and roof systems, or ‘shells’, of our buildings. During the planning phase of your project we can provide insightful consultation to help you decide which type of shell will work best for you. 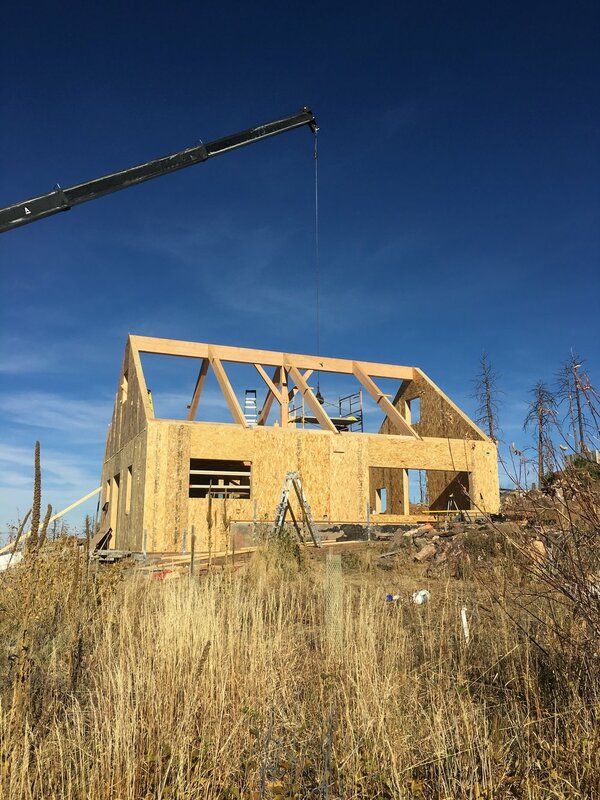 Elevated Design Build is a licensed general contractor in Northern Colorado, able to manage and perform all aspects of construction in our local area. Quality is paramount in all we do, and as such we hone our focus to one or two general contracting projects per year. The projects we take on as a GC are typically for clients who share our values and are interested in all of the services we offer.